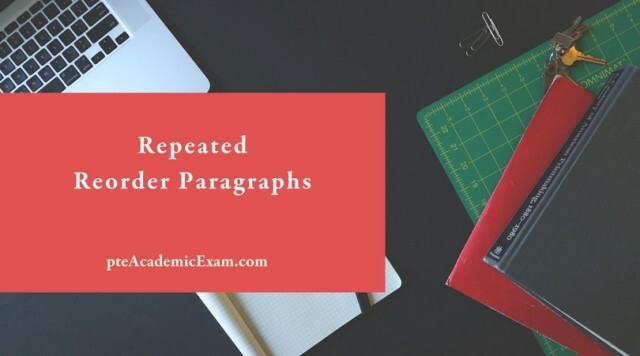 Repeated Reorder Paragraphs – Reorder Paragraphs often get repeated in the PTE Academic Exam, so we have compiled most important and repetitive paragraphs. Hope it will help. 1. Re-order the sentence in such a way that makes sense. [A]. Reread with the idea that you are measuring what you have gained from the process. [B]. It is a review of what you are supposed to accomplish not what you are going to do. [C]. A review is a survey of what you have covered. [D]. Rereading is an important part of the review process. 2. Re-order the sentence in such a way that makes sense. [A]. They would walk a while and then stop and look around to see where she was. [B]. Sometimes the matriarch even fed Baby. [C]. While watching elephants in the Samburu National Reserve in northern Kenya, I noticed one that walked very slowly. [D]. Depending on how she was doing, they would either wait or go on. [E]. Elephant expert Iain Douglas-Hamilton told me that this female elephant, Baby had been crippled for years, but the other members of the herd never left her. 3. Re-order the sentence in such a way that makes sense. [A]. It also will give him something worthwhile to live for. [B]. If he fails, it may have been due to troubles in his home, his school or unsympathetic and hostile relative. [C]. The finest asset any child can have is a happy home. [D]. If he exhibits good judgement in later years, much of the credit must go to those who trained him. [E]. Such environment will enable him to develop strength and stability of character thereby teaching him to face the future without fear or undue anxiety. [A]. The same problem would arise if two travellers journeyed in opposite directions to a point on the opposite side of the earth, 180° of longitude distant. [B]. International date line, an imaginary line on the earth’s surface, generally following the 180° meridians of longitude, where, by international agreement, travellers change dates. [C]. Traveling eastward across the line, one subtracts one calendar day travelling westward, one adds a day. [D]. For example, if an aeroplane were to travel westward with the sun, 24 hr would elapse as it circled the globe, but it would still be the same day for those in the aeroplane while it would be one day later for those on the ground below them. [E]. The apparent paradox is resolved by requiring that the traveller crossing the date line change his date, thus bringing the travellers into an agreement when they meet. BCDAE. The paragraph is about International dateline & clearly, B introduces the topic. C is the continuation of B as it talks about how date changes are made. D follows C. AE is a sequence. [A]. However, the comprehensiveness of legislative and policy frameworks differs widely. [B]. On the other hand, they can frame gender equality in different ways, focusing on one or more of the various concepts that are associated with this term. [C]. Most European countries are concerned about gender inequalities in education. [D]. On the one hand, they differ concerning the degree to which gender equality concepts are embedded in various legislative acts. [A]. When this bank was founded in 1695, Scots coinage was in short supply and of uncertain value, compared with English, Dutch, Flemish or French coin. [B]. In most countries, it is only the government, through their central banks, who are permitted to issue currency. [C]. The first Scottish bank to do this was the Bank of Scotland. [D]. But in Scotland, three banks are still allowed to issue banknotes. [E]. To face growth of trade it was deemed necessary to remedy this lack of an adequate currency. BDCAE. B introduces the topic, standalone. The next sentence should be ‘D’ as it introduces the subject of the passage. ‘D’ is followed by ‘C’, the phrase “to do this” refers to the phrase, “to issue bank notes” as discussed in D. Next comes ‘A’ because “this bank” refers to “the Bank of Scotland” mentioned in ‘D’. ‘E’ concludes the paragraph as it gives the reason that why the Bank of Scotland issued its own currency. [A]. Chimpanzees cannot speak because, unlike humans, their vocal cords are located higher in their throats and cannot be controlled as well as human vocal cords. [B]. It does not follow from their lack of speech, however, that chimpanzees are incapable of language, that is, a human-like grammar. [C]. A logical candidate for such a species is the chimpanzee, which shares 98.4% of the human genetic code. [D]. Perhaps they can acquire grammar and speak if they could only use grammar some way other than with a voice. The obvious alternative is sign language. [E]. A simple way to disprove the Innateness Hypothesis, as linguists call it, is to demonstrate that other species have the capacity to speak but for some reason simply have not developed speech. [A]. From 8:40 pm, the bridge will be turned into a canvas showing the Welcome to Country ceremony. [B]. Fireworks and special effects, including a red “waterfall” from the bridge base, will turn the structure built in 1932 into a giant Aboriginal flag shortly after the sun sets for the last time in 2015. [C]. Fireworks and special effects will also turn the bridge into a giant Aboriginal flag before the 9 pm fireworks display. [D]. “It’s about how we’re all so affected by the harbour and its surrounds, how special it is to all of us and how it moves us,” said the Welcome to Country’s creative director, Rhoda Roberts. [A]. In 2001, the government egged on by WWF, a green group, tried to regulate logging in the relatively small part of the Peruvian Amazon where this is allowed. It abolished the previous system of annual contracts. [B]. Instead, it auctioned 40-year concessions to areas ruled off on a map, with the right to log 5% of the area each year. [C]. SEPAHUA, a ramshackle town on the edge of Peru’s Amazon jungle, nestles in a pocket on the map where a river of the same name flows into the Urubamba. [D]. The aim was to encourage strict management plans and sustainable extraction. [E]. That pocket denotes a tiny patch of legally loggable land sandwiched between four natural reserves, all rich in mahogany and accessible from the town. A. It is also a recurrent theme in the press, from the highbrow pages of Prospect to the populism of the Daily Mail. B. Inevitably, these discussions focus on present-day dilemmas. C. In the early years of the twenty-first century the impact of immigrants on the welfare state and, specifically, the capacity of the welfare state to absorb large numbers of immigrants has become a staple of discussion among policy makers and politicians. D. But the issues themselves are not new and have historical roots that go much deeper than have been acknowledged. [A]. In the lobby of an internet search engine company’s headquarters in California, computer screens display lists of words being entered into the company’s search engine. [B]. Over the past year, a series of privacy gaffes and government attempts to gain access to the internet user’s online histories have, along with consolidation among online search and advertising groups, thrust the issue of internet privacy into the spotlight. [C]. This presents a challenge to internet search companies, which have built a multi-billion dollar industry out of targeted advertising based on the information users reveal about themselves online. [D]. 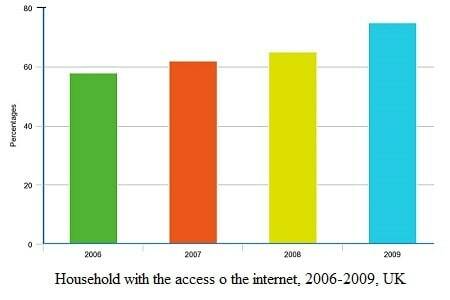 Although it says that the system is designed to filter out any scandalous or potentially compromising queries, the fact that even a fraction of searcher can be seen by visitors to the world’s biggest search company is likely to come as a shock to internet users who think of web browsing as a private affair. [E]. However, that may be changing. 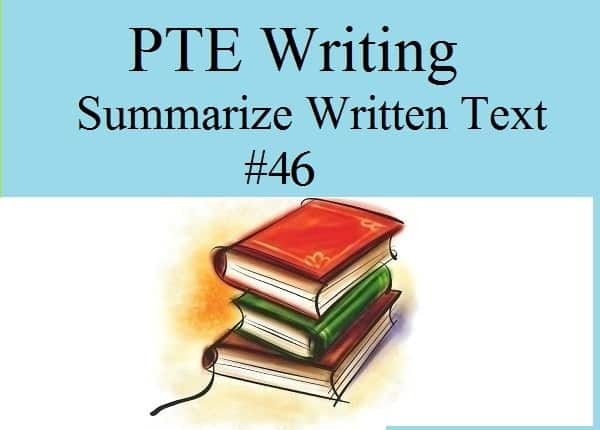 i am taking PTE test tomorrow without any coaching classes.I just referred youtube videos and practiced like this just in websites,can i get at least 60 in each session?Please give some respond to me. for the second one answer given is wrong . last 2 will be DB instead of BD. I checked in google and found the actual article. The answer for Question 2(Elephant) should be CEADB. You may refer below article for reference. In paragraph ECABD is correct answer. And special thanks to author for providing these materials. For the second question, I believe CEADB. In the reorder of elephant, I think the answer would be ceadb. @Author : This is a great initiative and the practice material is really good as well. Also, the way you answer each and everyone’s query is commendable. I need 79+ in all the four sections and I got >85 in all three but reading where i missed out by 1 mark!. Will try my luck again today!! Please keep up the great work over here. Hi Rahul, can you please share some tips as i am playing around 70 since last month. Hi Rahul, did you reattempt ? i am taking PTE test tomorrow without any coaching classes.I just referred youtube videos and practiced like this,can i get at least 60 in each session?Please give some respond to me. Hi… Are these questions still repeating? I’m going to take PTE on 23rd Feb. By any chance, these might get repeated? Mostly luck I suppose!! have u get any one in exam? Hi, Are these still repeating? I am giving my exam this week. Hello Admin ! Good evening..! 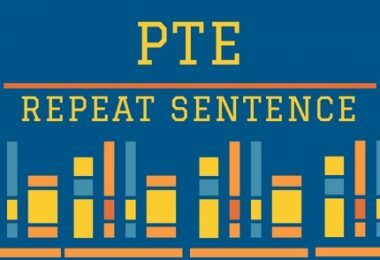 I have booked my PTE exam on Jan 15, 2018. I have already written this exam and scored 53 in India. From the last few days i took notes about the introduction section for the all module. Now i have little bit confuse, How to start my preparation whether buy some score test or follow your website ? Please guide me. Thanks in advance. Is the answer to Question no 8 is correct. If yes, Author can you please explain it how? A simple way to disprove this hypothesis (the Innateness Hypothesis) is to demonstrate that other species have the capacity to speak but for some reason simply have not developed speech. A logical candidate for such a species is the chimpanzee, which shares 98.4% of the human genetic code. Chimpanzees cannot speak because, unlike homo sapiens, their vocal cords are located higher in their throats and cannot be controlled as delicately as human vocal cords. I got the web security one in my exam! Hi Author , Great materials . 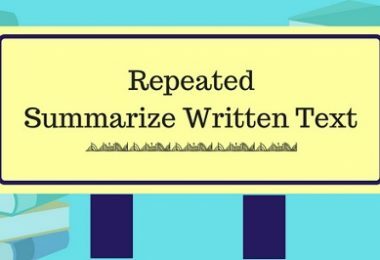 Are there repeated questions for dictation , essay summary and collocation words ?I have a test tomorrow. Hiii , admin i need some help bcz my pte exam is 25th /11/2017 .And i m confused then plz help me to score of 6.5 bands i have already done this exam but i got only 48 and i have need 55 overall then plz help me and give me the repeated eassys,answer short que, repeate sent,and all req material to provide me and some tips to give me then i m done 55. Check ‘repeated questions’ category, you will find the repeated SWT, Answer Short questions, reorder paragraphs. I m sitting in exam on 8th nov . Is there any chance they will repeat. Thanks a lot for the materials. I am writing exam tomorrow, Are these still repeating ? Appreciate your work, thank you author. Thanks a lot for the unmatchable material on the web. for Q#5, what is wrong with order BACD? Nothing is wrong in that sequence but this is a part of news report and hence that sequence was followed. This passage was from sydney morning herald. I think D should come in the last. @author: AECBD- the correct order for the language of chimpanzees question. Hi author how could it start with E option please once check the answers for reorder pragraph chimpanzees question as E option cannot come first in answer as it mentioned other species word in that sentence how could other species start with answer other species mean what? 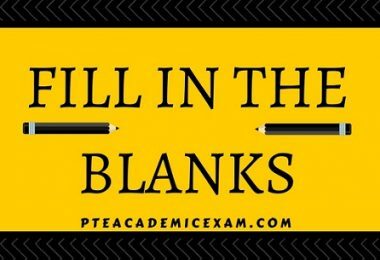 i have pte exam on 7th sept 2017 so can any one help about important topic for essay, re order para, listening summeries etc. Actually i m facing a problem in repeat sentences bcoz it is very hard to me to repeat full sentence. I heard that nowadays repeat sentences are very tough and long. I request you that if possible can u please send me real exam repeat sentences bcoz i m loosing my marks in speaking and listening everytime. i will be thankful to you. How was the exam. Can you reach out to me on 8888891528, i can get some help from you. Correct answer for question # 2? There is only one confusion whether ‘A’ would come after ‘C’ or as a concluding sentence. 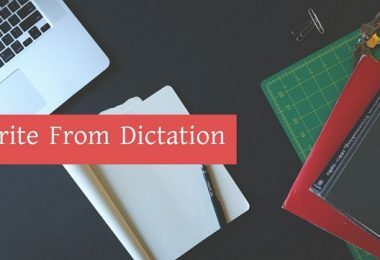 Now in sentence D, the author has used the word “they differ” (“they differ is referring to legislative and policy frameworks used in the sentence ‘A’ ) so ‘A’ should precede ‘D’. Question 3 (central bank) all paragraphs are in the correct order already, making the letters(A, B …) in an awkward(correct) order. could someone please advice whhich part of world this exam came?? any help will highly appriciated. I had sephua one 🙂 And helped me with time! 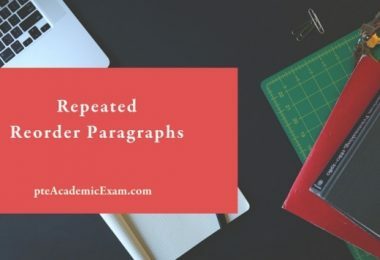 Can you please share the list of all questions of re order paragraphs which comes in PTE exam..i mean to say all repeated re order questions..??? Chimpanzees Q4 answer is not correct? can some one tell the right ANSWER? would you like to share the answer of this reorder because the given is correct or not? 3rd has already given in sequence. an u pls tell me what was the essay Topic. Ya i too think its AECBD. In question 4: I think sentence can not start with E as it contains “This innateness hypothesis”. This… refers to something. Right? Thank you for your useful materials!